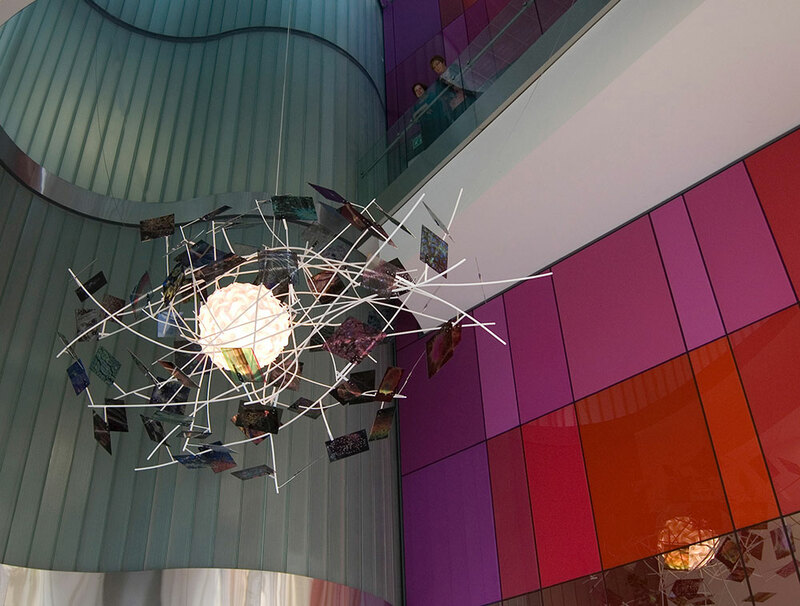 4m x 3m suspended sculpture in the Atrium of the Scottish Centre for Regenerative Medicine SCRM. The form was distilled from conversations with the scientists working in this building. Their photographic images are supported by the dynamic and sculptural cytoskeleton that envelops the pivotal, glowing nucleus. The sculpture was conceived, developed and created by designer Graham Russell from Atticsalt, scientist/artist Hamer Dodds and artist Andrea Geile. Together they worked closely with the teams from the Centre for Regenerative Medicine and the University of Edinburgh in realising this project.